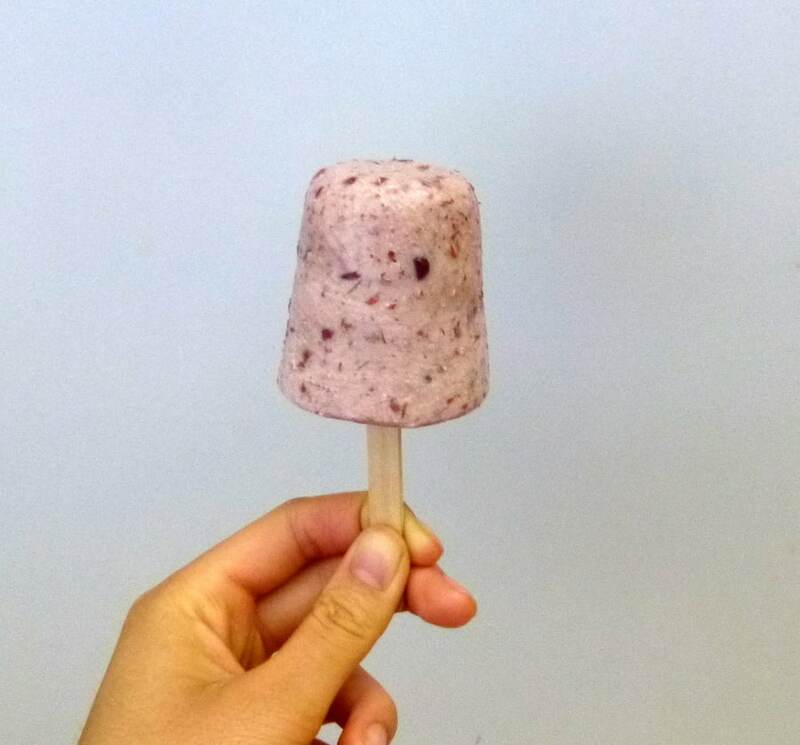 for the last touches of summer, i’d like to introduce you to these red bean coconut milk popsicles. (in case you were wondering, i’m a hold on to summer as long as possible person, not a let’s get the pumpkins and apples and cinnamon in asap person). so easy. they’re really creamy so they taste like red bean ice cream and not just frozen red bean soup (adzuki beans simmered in water and flavored with brown sugar and yes this is something i really truly enjoy eating). this may or may not be because i used some coconut cream diluted with coconut milk beverage instead of straight up coconut milk, which also made the popsicle mixture really thick and whippy. i used a can of mashed sweetened red beans, which weren’t really mashed tbh, and more whole, which i like. blown out beans aren’t my thing. these beans were really sweet on their own, so taste the popsicle mixture before adding additional sugar. Blend the coconut milk, 1/3 of the red bean paste in a blender until smooth. Stir in the rest of the red bean paste by hand. Add sugar and salt to taste. Fill the popsicle molds. Place the popsicle sticks in and put them in the freezer overnight. When you’re ready to serve, leave the mold out at room temperature for 5-10 minutes until they just soften enough so you can remove them. Or run the mold under cold water to help them out.